Enya: "I recorded two non-original songs. One of them is ‘Marble Halls’ and it’s written by an Irish composer called William Balfe and it’s from an opera called Bohemian Girl and a hundred years old, this song. And I felt it was a challenge to sing it, as it had only been sung by an opera singer." 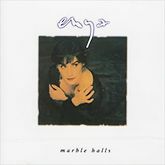 Enya: My mother actually sang ‘Marble Halls’ in her boarding school at a concert, and I wasn’t aware of this but I think she was singing it around the house and I must have picked up the melody because when I heard it for the first time I was drawn to it immediately, and it was only recently, when I mentioned to her I was going to record ‘Marble Halls’ that she said “but I did this song so many years ago”, then I thought, well, that’s the connection, you know, I would have heard it a long time ago; but it’s a piece of music from an opera called The Bohemian Girl, and it’s by an Irish composer, Balfe. Nicky Ryan: There’s a song called “Marble Halls”, for example, which in its very essence it suggests reverb to me — the fact that you are in the marble halls. You must have it. The opera tells a story of Arline who is in love with a Polish nobleman and political exile Thaddeus. As a child she had been kidnapped from her wealthy father by gypsies and was raised by them, so she had only the vaguest recollection of her former life (hence ‘I dreamt I dwelt in marble halls…’). Accused of stealing a jewel in the city of Pressburg, she is arrested, but then is recognized by her father Count Arnheim who is the governor of the city. Overjoyed at finding his long-lost daughter, he gives her in marriage to Thaddeus.